NanoFlex® Insulated pipes | Atmosfera™. Альтернативные источники энергии. Солнце. Ветер. Вода. Земля. Insulated corrugated pipeline NANOFLEX® is designed for use in extreme temperatures and under high pressure. It is ideal for solar systems and heat pumps assembling, as well as other internal and external engineering works. NANOFLEX® is the best insulated stainless steel pipeline on the market. The use of NANOFLEX® saves your time and money on assembling, delivery and storage. The secret to NANOFLEX® pipeline is its insulation. NANOFLEX® insulation is based on Aspen Aerogels (made in USA). Aspen Aerogels is a nanomaterial, which 15 positions of the Guinness World Records are dedicated to owing to its unique properties: this material has the least density – just by half bigger than density of the air, plus it is hard, transparent, heat-resistant, water repellent, and with ultralow thermal conductivity. Nanoinsulation Aspen Aerogels is manufactured by one single factory in the USA. 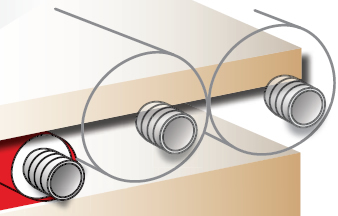 Pipes are easily disconnected without losing their leaktightness. 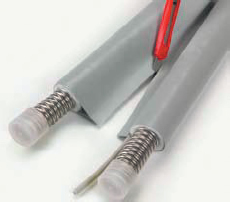 Pipes assembling is cheap and easy – pipe clips needed. Innovative insulation NANOFLEX® is just 5 mm thick and by its heat-saving properties can compare to cellular rubber insulation with thickness 20 mm. Heat conductivity coefficient of NanoFlex is 0.014W/(m.k). 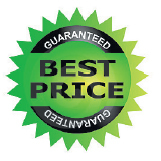 NANOFLEX® will cut your operating costs. Small packaging size will result in reduced expenditures for loading/unloading, transportation and storage. 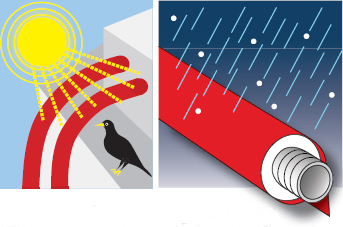 NANOFLEX® pipes are easily installed under floor coating. Moreover, they are protected from underlining damaging due to compression and occupy less space. NANOFLEX® is resistant to high temperatures and atmospheric precipitations. 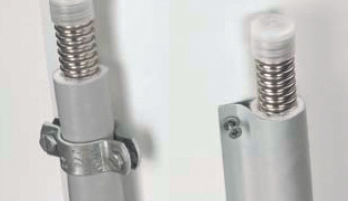 NANOFLEX® is resistant to mechanical damage. NANOFLEX® may be stored outdoors! 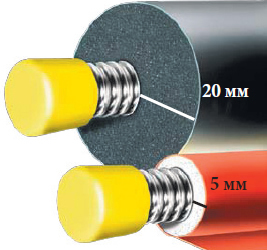 The cost of NANOFLEX® system is much lower than the cost of a kit of components “corrugated pipe + rubber insulation + cable + external protection”.